A Superb 18th Century Mahogany Chippendale Kneehole Desk of wonderful original colour and condition, retaining original handles, locks and very nicely shaped Ogee bracket feet. 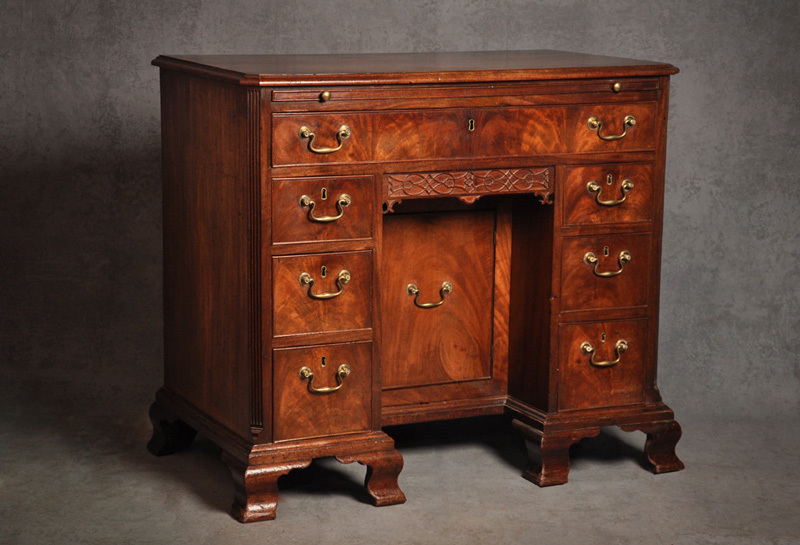 The Desk has chamfered fluted corners with fretwork and C scrolls on the centre drawer that are particularly fine and a rare feature. 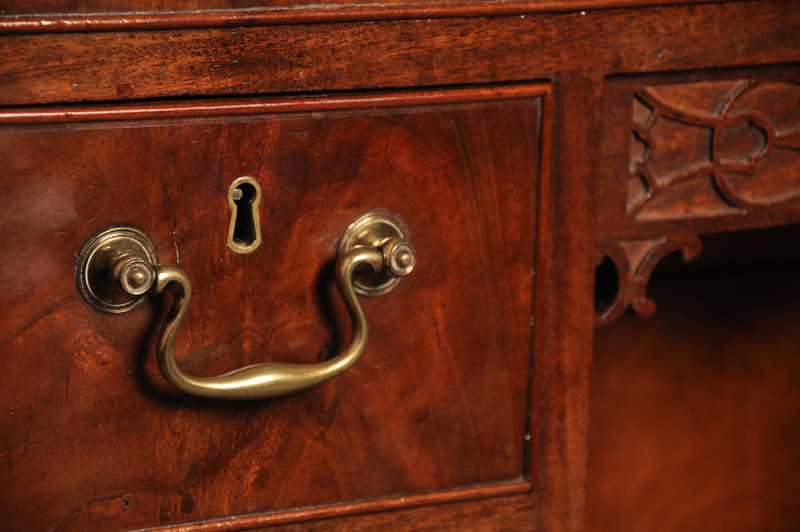 The Drawer linings are in Mahogany with veneered matched Mahogany on the fronts.